27 Day Navagraha Purvaka Nakshatra Shanti Yagnam, April 8 to May 5. 5:00 pm – 8:00 pm daily. Nakshatra (birth star) is the constellation that the moon sign was placed at the time of your birth. 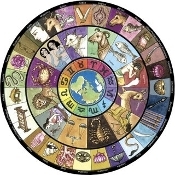 Each nakshatra has both positive and negative attributes that effects the individual throughout their life. The Navagraha nakshatra shanti havan decreases the negative attributes and increases the positive ones. This havan will be done for all 27 nakshatras, so everyone will benefit from this. You do not need to be present to sponsor this havan and attendace is always open to everyone.